I believe in a child-centered and play-based philosophy. It allows children to learn by exploring their environment at their own pace. All children come from their own world depending on heredity (nature) or environment (nurture). Nature and Nurture are the main roles of child growth and development. I believe in Jean Piaget’s theory of Cognitive Development which explains the development of learning in terms of how children think and process information. Children interact with peers, environments and adapt or change their behavior to form mental structures. 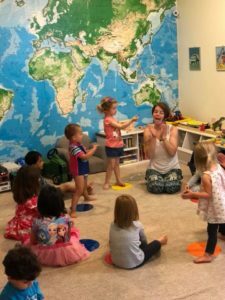 They discover and experience things by themselves, so I prepare the environment for children to have a chance to think and figure things out. They will learn, grow intellectually and build a sense of confidence. I also believe in Erikson’s theory of Psychosocial Development. I provide reliability, care, and affection to develop a sense of trust in infancy. 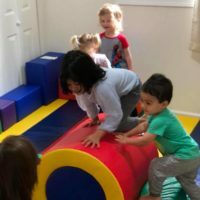 At Choober Doobers, 2-3 year old children will have tremendous opportunities to develop a sense of personal control over physical skills and a sense of independence. 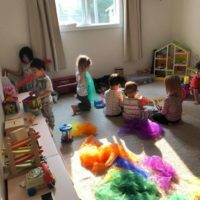 My rich environment encourages exploration in the older age group of 3-5 years olds. I encourage appropriate choices and help them to face challenges and accomplish tasks.